A modern design twist on traditional African tie-dye fabric. Great for clothing, accessories and any craft projects you have on the drawing board! 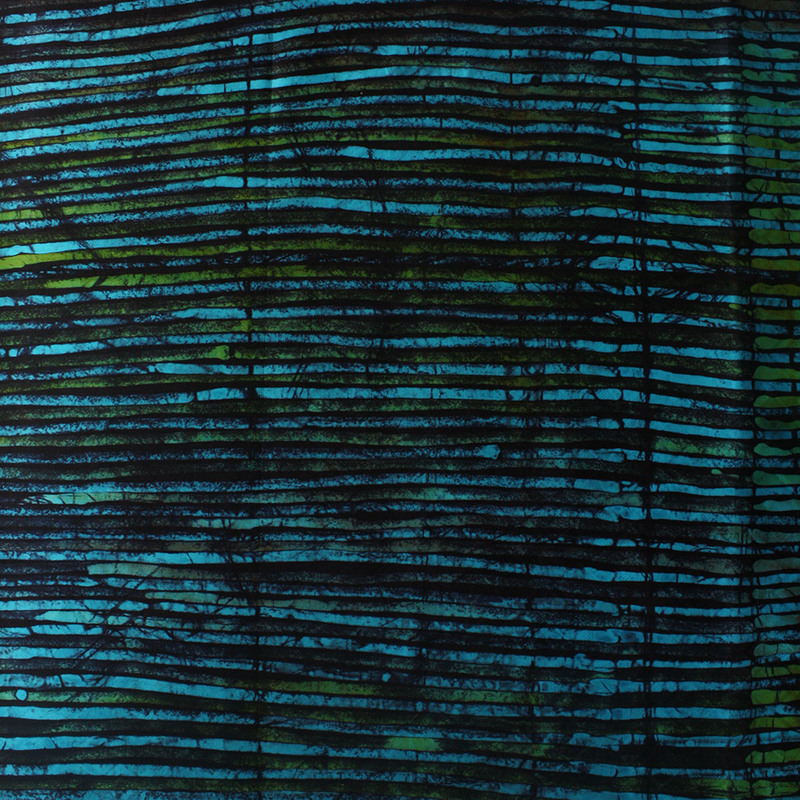 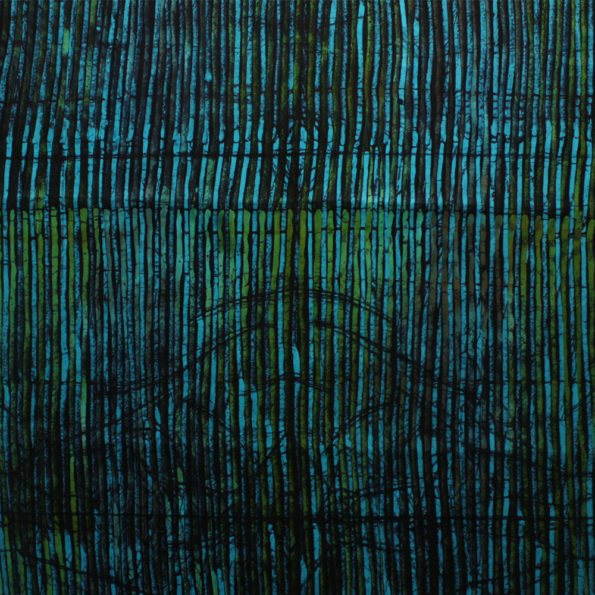 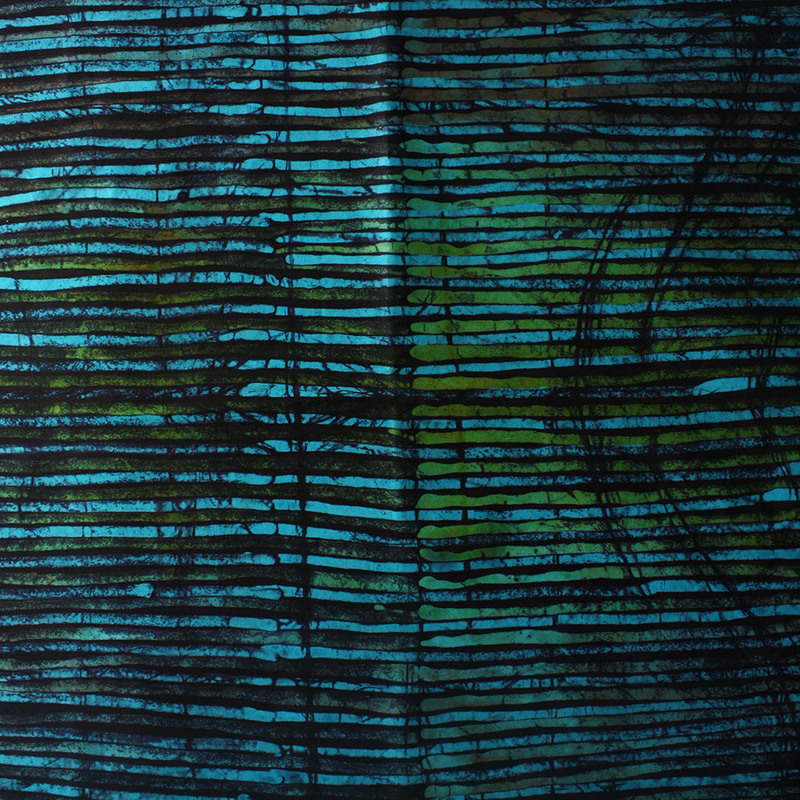 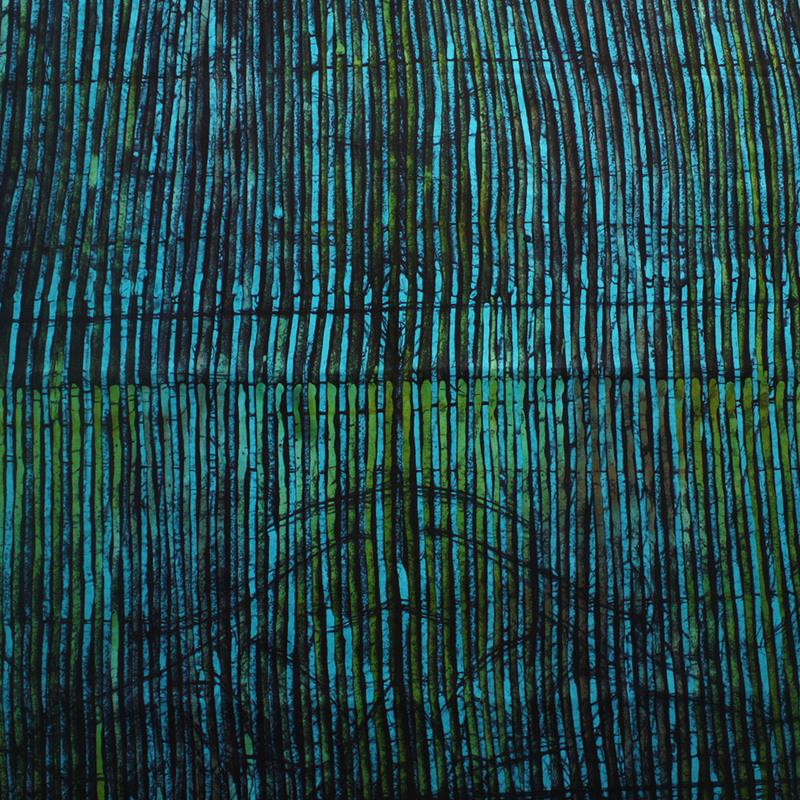 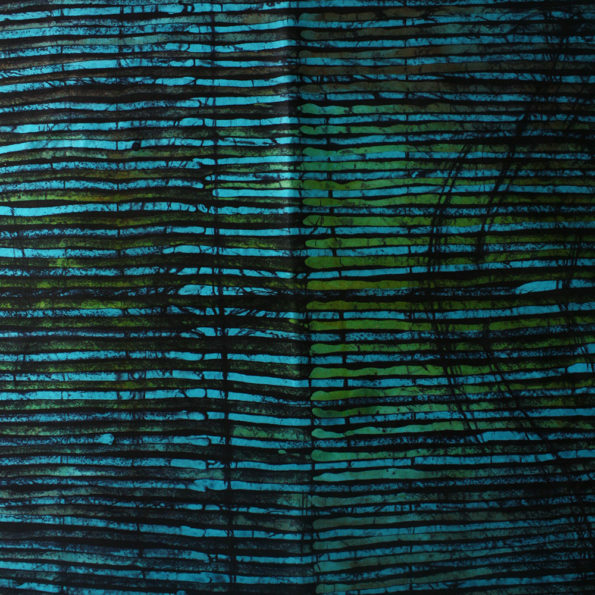 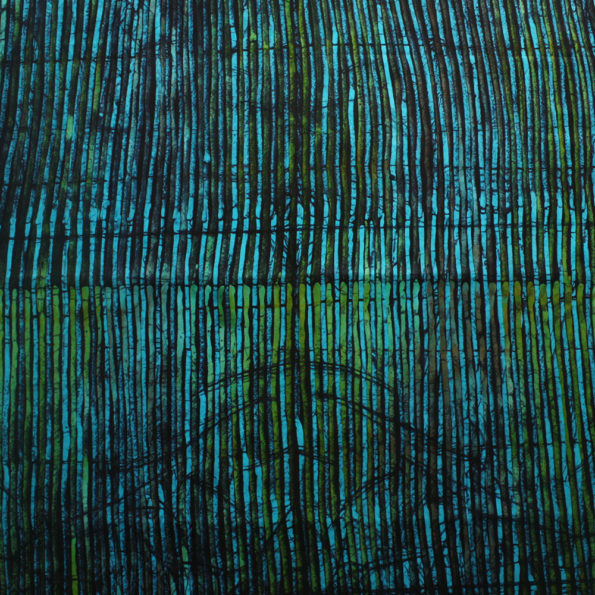 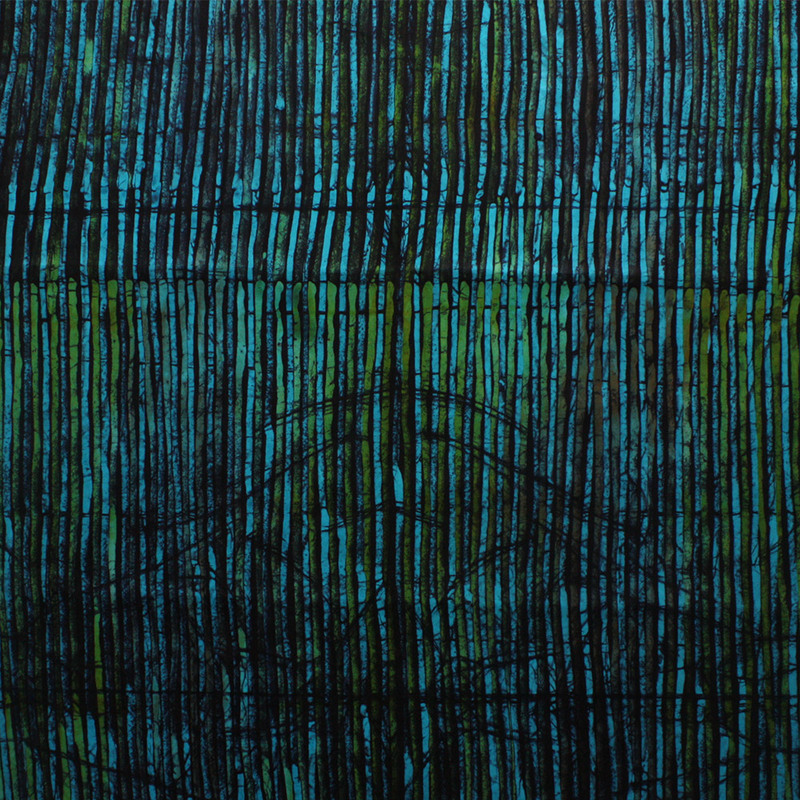 This one features hand drawn lines that go from green to turquoise with subtle hints of orange. 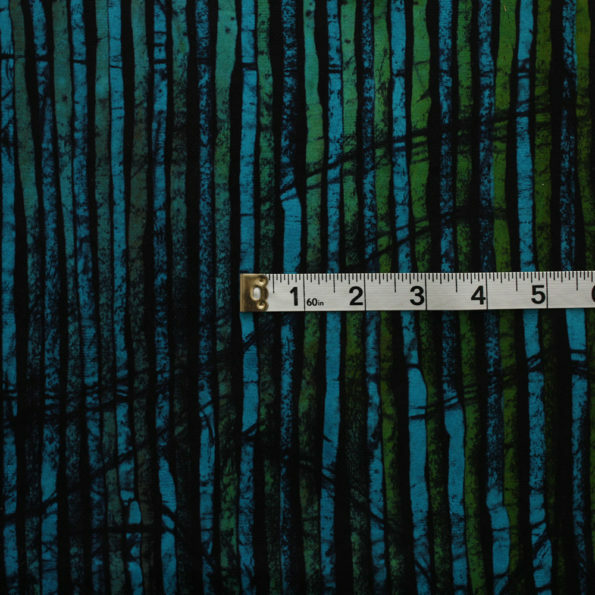 To give you an idea of scale of the patterns on the fabric a tape measure is shown in the last image. 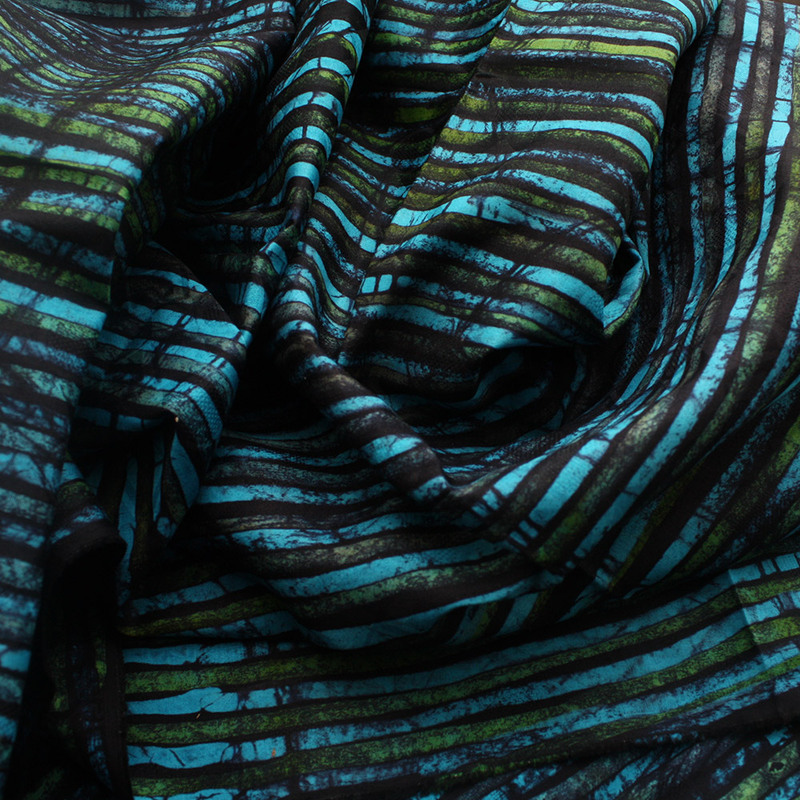 Need more of this fabric? 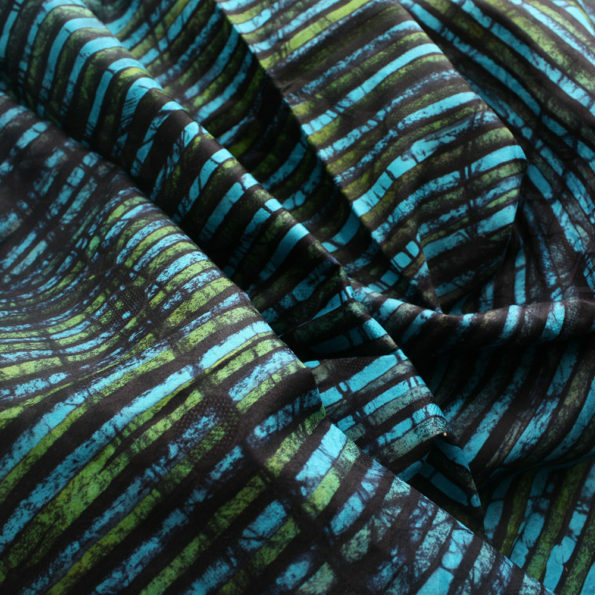 It is also available to purchase as a 4.8 yard (4.4 metre) length here.